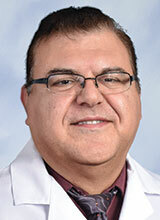 Levon Tchakmakjian, M.D., practices internal medicine at the Center for Primary Care in Fairfield. Dr. Tchakmakjian earned his medical degree from Technion–Israel Institute of Technology Faculty of Medicine in Haifa, Israel. He completed a postdoctoral fellowship at the University of Medicine and Dentistry in Newark, New Jersey. He is board-certified in internal medicine. In addition to English, Dr. Tchakmakjian is fluent in Hebrew and Armenian. To make an appointment, please call the Center for Primary Care at (707) 646-5500.